I recently took my other half out for her birthday dinner. 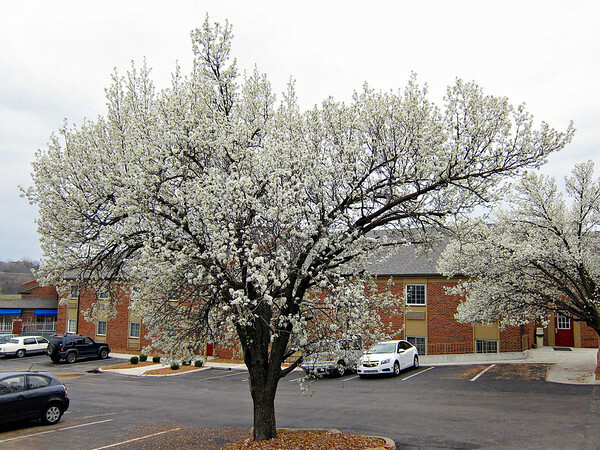 We snuck over to an eatery on the Kansas side, where these trees were in full bloom. As you can see, the tree is covered with flowers.